I have sensitive, combination skin and it took me a while to make the right choices about my skin care. I found it difficult to solve all my skin problems with just one brand. My skincare routine then was a process of trial and error. Problem ingredients from Western formulations made my skin worse. Some products I used aggravated the very skin issue I was trying to resolve. It was difficult to find a single product that tackles all of my skin problems at a formulation that works for my skin. 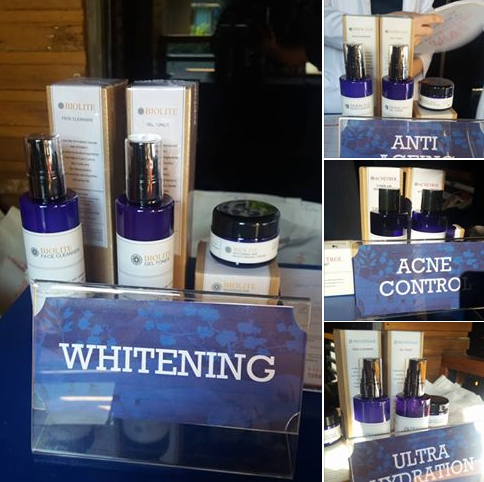 Bioessence, one of the trusted brand in beauty and wellness in the Philippines, had recently launch its skincare professional lines. 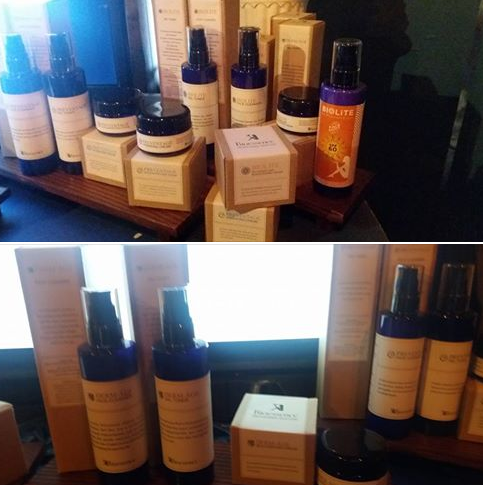 Known for their facials, slimming and spa services, it currently offers a full range of skincare suited for the Filipina skin. Bioessence knows that everyone's skin is different. Not everything works the same on everyone. And so, the first step towards achieving a beautiful skin is figuring out your skin type. We were assessed by dermatologists during the event and were handed out a skincare line set based on individual skincare needs. Dra. 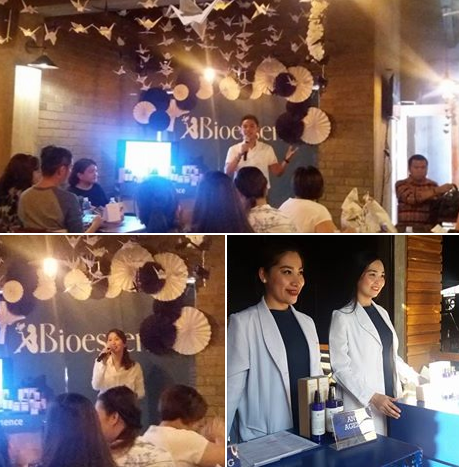 Geline Rosario-Crisostomo of Bioessence talked about customizing skincare line according to age and skin type during the launch. With a tag line ” Caring Beyond Beauty”, the brand resonates with a mission that goes deeper beyond making the skin beautiful. Bioessence puts love and care every step of the way not just in their renowned treatments but in their own products as well. As Bioessence looks after our skincare needs, it also helps local farmers gain livelihood. Bioessence also contributes to help save the environment. It uses recycled materials for their packaging. Acnetrol – Acne control at its finest! Your skin’s best defense against breakouts and excess oils with powerful yet proven safe ingredients like sulpur, salicylic acid and clindamycin. Derm-age – Formulated using the technical breakthrough ReGeniStem. It uses Red Rice and a combination of botanical Polysaccharride and nano-ized Collagen that provide maximum moisturizing effect to the skin. Best suited for aged skin to help keep it supple and prevent further skin damage. Follow them on twitter @bioessenceph or on facebook for promotions and product updates.